One of these days, I’ll make a deadline, but TODAY IS NOT THAT DAY! My latest Five Things Friday is now coming out on Tuesday, but hey, that means it’s TEN things so double the things double the fun right?! Now, I’m not going to get all mushy I swear, but April 15, 2019 marked SIX WHOLE YEARS of dating my fiancé, B, and four whole months of being engaged. At the risk of sounding cliché, it’s incredible how six years can feel like centuries but also seconds at the same time. We’ve got centuries to go, because this is forever! And honestly, it’s good that we’ve got forever because of course… I’m always late. haha I crack myself up, that was a good one. I’ll have to save that for my vows. We’ve decided to host our wedding at the historic Alabama Theatre (where we got engaged) eeeep! 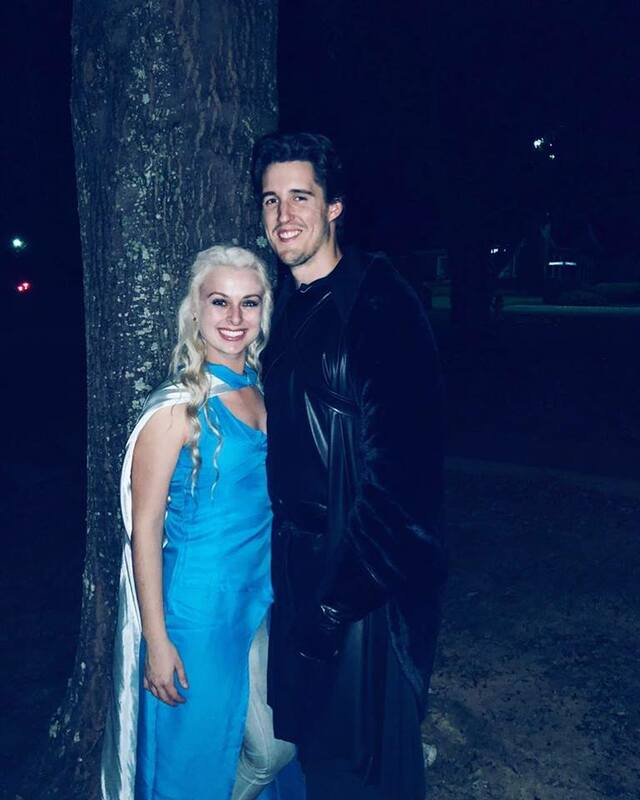 And maybe after we deal with these White Walkers and conquer the Seven Kingdoms, we’ll come up with a wedding date. In my reading, I came across an article about one art historian’s efforts to digitally map the Notre Dame Cathedral and how his work could help in the restoration and rebuilding of this place of worship and beloved monument to humanity. “Although parts of Paris' Notre Dame Cathedral now lie in ruins, people can still experience what most of its nooks and crannies looked like in remarkable detail - thanks to an American art historian. *Tidbit: Scottie Fitzgerald, daughter of F. Scott and Zelda Fitzgerald, also attended Vassar College. Well, hot dog! My Sweet Home Storytelling Dance Series was regarded as a “book” for Alabama Book Festival, and I am so soooo thankful that my little Jellybean Dance Collective got to be included in this year’s festival in Old Alabama Town! It was an honor and a privilege to be considered an author for my choreography. Hosting a panel at this festival amongst such incredible, brilliant authors was a dream come true and I still can’t believe I got to be a part of this. My underlying goal in this whole series is to increase the accessibility of dance and prove that dance is bigger than itself- that it is necessary, that it is useful, and that it belongs in our schools, our art, our culture, and our conversations. What I hope to do is use dance as a vehicle to take history, literature, folklore, and stories beyond themselves too and bridge the gap between dance and the rest of the world. 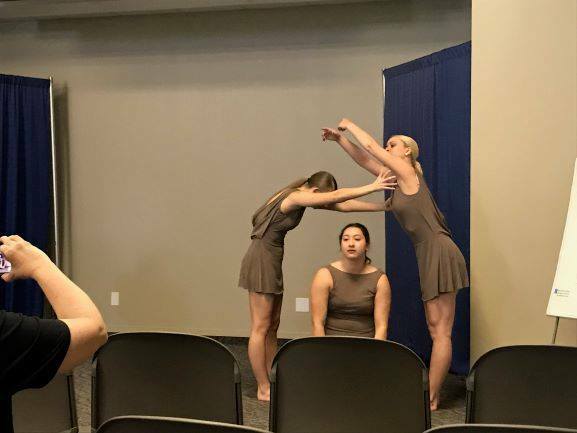 I think that the amazing people of the Alabama literature community opening their arms and their festival to a DANCER and CHOREOGRAPHER just absolutely blew me away. THIS was what I was hoping to accomplish. I am still absolutely in awe of the open-mindedness of the audience as we held discussion and got to explore the storytelling power of dance. If I just got one person to see that power…. I’d say we accomplished something. Whitman, Alabama is a project that I’ve followed for a while, but this past weekend at the Alabama Book Festival, I got the privilege of meeting the creator of the 52-part documentary film, Jennifer Crandall!!!! She is an incredibly empathetic listener, and has created this series to amplify the voices of Alabama’s people by having them recite verses of Walt Whitman’s Song of Myself. Jennifer is incredible and I cannot believe I got to meet this woman that is a champion of the people and the state I call my Sweet Home! Please visit her project site and watch the intro video I’ve embedded. The Fitzgerald Society has invited me to present my research on Zelda Fitzgerald and “Three Ballerinas” in Toulouse, France at the F. Scott Fitzgerald Conference. It is an HONOR to be included in this international opportunity, and I can’t believe I was invited to present! I hope to shed light on the legacy of Scott and Zelda in every step, and I can only do this with YOUR HELP!!!!! Now, just wanna say there are no season 8 spoilers in my post, but I had a BLAST watching the season premiere on Sunday! My friend Grace and I arranged a watch party complete with enough Wildfire to even make Cersei bat an eye. 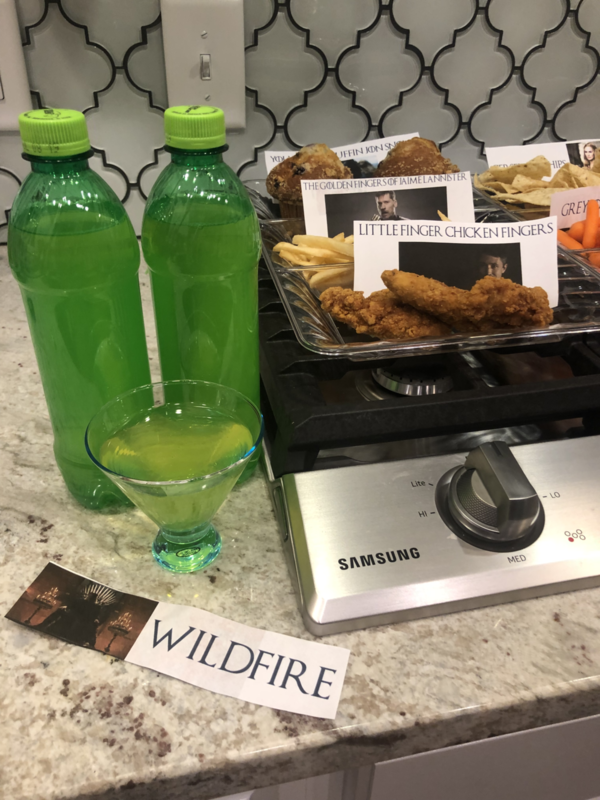 Look at some of our ideas below for a super easy watch party set up, but there’s a new blog segment I’m launching til the end of Game of Thrones (which don’t remind me, is soon….) about ways to feel like a Khaleesi every day! The new segment will probably called “KhalEESI Does It” because “Daenerys Stormborn of House Targaryen, Rightful Heir to the Iron Throne, Rightful Queen of the Andals and the First Men, Protector of the Seven Kingdoms, the Mother of Dragons, the Khaleesi of the Great Grass Sea, the Unburnt, the Breaker of Chains Does It” didn’t have the same ring to it. So, I’m still loving Poppy, and her MAJOR SILVER JUMPSUIT IN THIS VID, but this week my heart’s been partial to “Beige” by Yoke Lore and this incredible (unburdened) version I embedded below. I’m thirsty for adventure and physical challenge after my recent travel experience. I want to try rock climbing and bouldering, but I’ve never tried to before, so I’ve got to start with some practicing. Who knows? Maybe I’ll love it. Maybe it will be like crafting or putt putt golf and I’ll be royally terrible about it. So… There’s a new The 1975 album coming soon! Don’t believe me, hear it from the man himself, or… read it tweeted from the man himself! Maybe we’ll get a preview at the show in Seattle, which is just TWO WEEKS AWAY wooooo! I can’t wait. I’ve never been to Seattle, and I’ve never seen this beautiful band live before! I’m working on the website for Jellybean Dance Collective, as well as some of our social media channels. I’d like to organize our first theater show and have it up on the calendar soon! Subscribe to our newsletter, and follow us on Instagram to see what we’ll have cooking!